The North Melbourne Tasmanian Kangaroos have gone from strength to strength, with Kaitlyn Ashmore, Emma King and Moana Hope the latest superstars to sign with the club . The signatures of the members of the trio continue an incredible recruiting period for North. "It's an incredible team already and we're not done yet," North AFLW coach Scott Gowans said. Ashmore, a well-seasoned campaigner and Victorian representative, has speed to burn offering a new dynamic to the side. North’s ruck stocks have been significantly bolstered with the addition of King. “Emma has great tactical skill, she is also very physical and athletic which enables her to be a dominant ruck and key target up forward,” Gowans said. Hope’s on-field energy and experience makes her a dangerous proposition for opposition defenders. “Mo is one of the most dynamic forwards in the competition,” Gowans said. 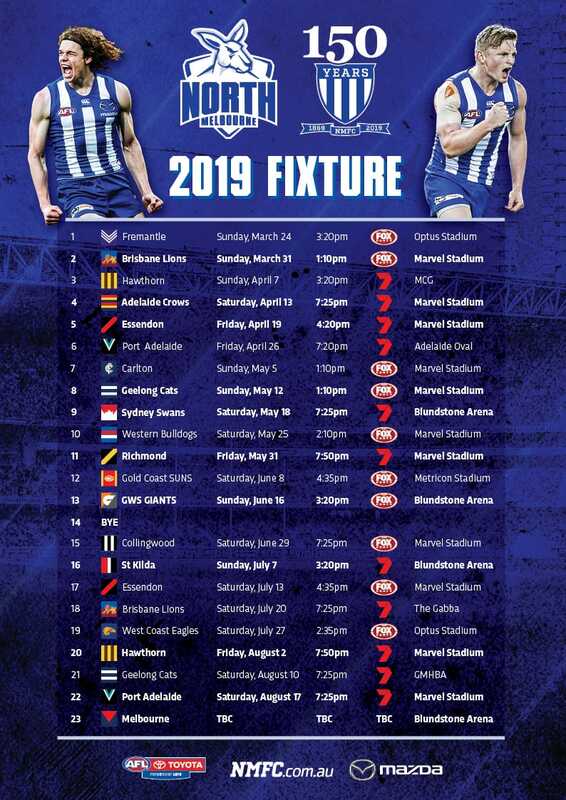 Ashmore, King and Hope join Emma Kearney, Jas Garner, Jamie Stanton, Danielle Hardiman, Jess Duffin, Kate Gillespie-Jones, Tahlia Randall, Brittany Gibson, Jenna Bruton, Daria Bannister, Maddison Smith, Ash Riddell, Georgia Nanscawen and Elisha King in North's inaugural team. With pace to burn, Kaitlyn Ashmore possesses the ability to split opposition midfields. Ashmore transitioned out of a promising career in athletics to pursue her football dream. The decision has been validated with Ashmore playing in two consecutive AFLW Grand Finals. Originally from Melbourne and no stranger to the MUWFC, Ashmore returns to her home state after committing to the Roos. “Kaitlyn has real versatility in her game having been able to spend time on a wing, half-forward or as a genuine on-baller,” Harwood said. “Kaitlyn will give us a different look through the midfield, and we think her ability to carry the footy will really break some games open. A veteran of the game, Hope will add experience to North’s forward line. The well-travelled goal sneak burst onto the scene in 2016, making headlines for a six-goal haul in the All-Star exhibition game. Given her experience in multiple competitions, Hope is expected to make an immediate impact at Arden St. The mercurial attacker has the ability to be a game-breaker, highlighted by her 15 goals in past two seasons. “Mo has proven she can be one of the most dynamic front-half players,” Harwood said. “She has genuine forward craft, reads the ball coming in particularly well, and possesses some real tricks. The North Melbourne Tasmanian Kangaroos have further bolstered the club’s existing star-studded line-up. Towering authority King is seen by many as the competition's most elite rucks. King accumulated an impressive 125 total hit-outs in 2018 , averaging 17.9 per game; the third highest in the competition. With impressive footwork, and an ability to play as a legitimate forward underlines her importance to the team. 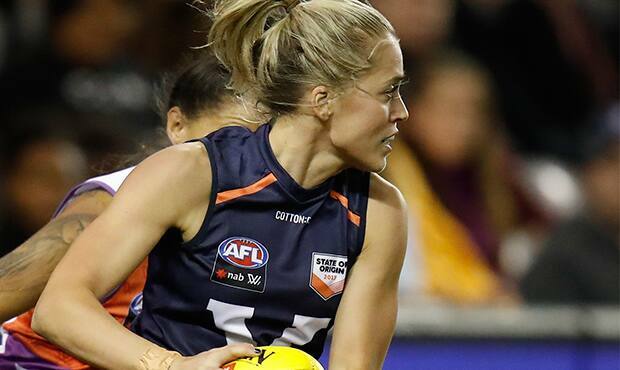 “Emma possesses a strong ruck-craft and brings both physicality and athleticism to the role,” Harwood said. “Her tactical skill for a player of her size is of real quality, as is her ability to find the footy around the ground.